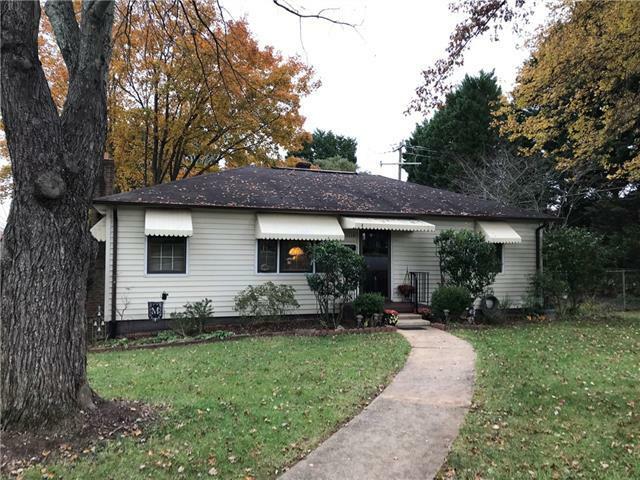 Spacious 2 bedroom, 1 bath brick and vinyl ranch with full basement. Nice size kitchen (perfect for entertaining) with granite counter tops, custom cabinets, laminate wood floors and dining area. Large living room. Living room, hallway and both bedrooms have original hardwood flooring. Beautiful corner lot with fenced-in backyard that is lined with fruit trees. Huge deck (with bench lined railing) in back, off main level and patio on ground level. Full unfinished basement (exterior entrance only), could easily be finished for more sq ft or used for storage. Basement also has a garage and an additional one-car carport. Great location, minutes from Highway 321 and I-40. The home is in excellent condition. Sold by Marketplace Realty, Inc..